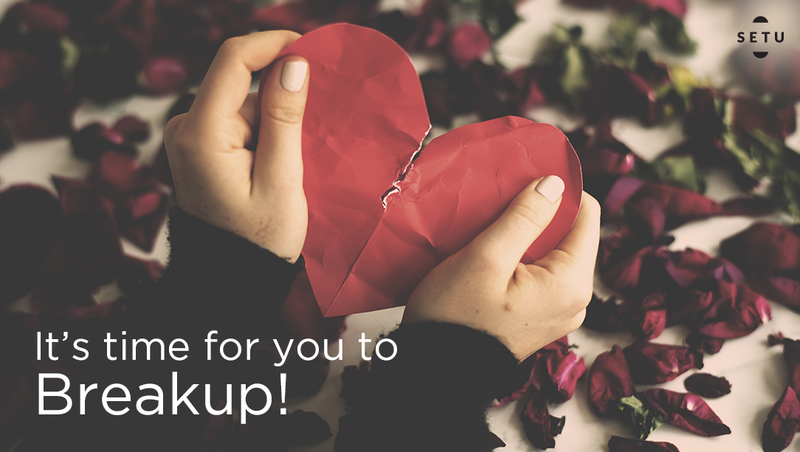 This month of love, it's time for you to breakup! Ahh, February, the month where everyone focuses on celebrating love. The month where you’ll read about doing things with your loved ones, buying gifts, going on a dinner date; basically two hearts coming to one! If you’re sick of reading, talking, listening about stuff that’s all about make up, then READ HERE! Instead of making up and celebrating love, I say it’s time to BREAK UP! 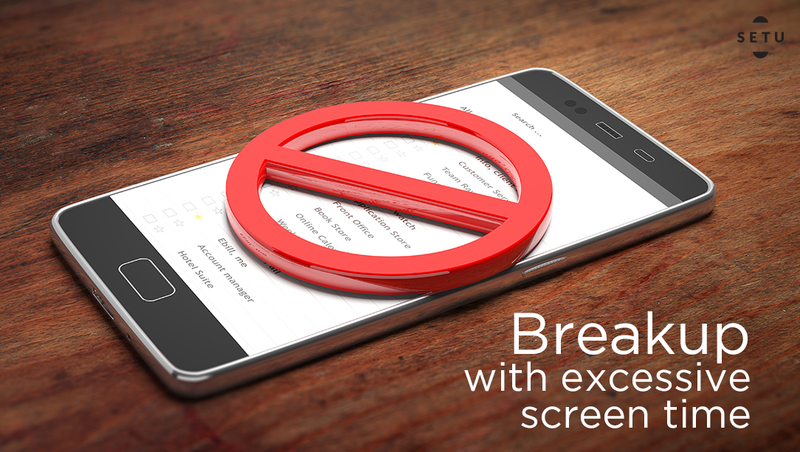 (NO, not with your boyfriend/girlfriend/best friend, OF COURSE not) It’s time to BREAK UP with too much screen time, it’s time to BREAK UP with binge eating on unhealthy food, and it’s definitely time to BREAK UP with stress! I know, this must be the hardest break up ever, but as I sit here typing out this article at 4:00 AM, I know this is NOT HEALTHY. We need to make a change today for a better tomorrow! So say it with me, I WILL BREAK UP! Excessive screen time causes dark circles, tired eyes, puffiness & redness, makes it harder for you to fall asleep and eventually poor eye sight. As you get older, your skin begins to thin as well, so it’s important to take care of your eyes right away. How you’re going to BREAKUP: • Make a habit to avoid all screens (phones, television, laptops) for 1 hour in the morning right after you wake up and 1 hour before you go to bed. Instead of looking at your screen, wake up to nature first thing in the morning. Green spaces enhance mental health & absorption, lowers stress levels and restores attention, while sunlight can reduce attention deficit symptoms, restore circadian rhythms, and improve your mood.1 It may take some time, but you will also feel mentally at peace. Giving your eyes rest from screens before going to bed will help you sleep better, and therefore, improve body functions. • Taking breaks from the screen and incorporating eye exercises through out the day will reduce the stress on your eyes as well. • Using Setu’s Eyemax can also help improve your eyes. Eye max helps Fight the bad blue light from screens and reduce your strain with its key ingredients that help the retina, lutein & zeaxanthin, and bilberry. This may be one of the hardest break ups, but eating healthy is very important. We eat more processed foods than we realize everyday, so it’s super important to be mindful of what goes into your mouth! Binge eating unhealthy foods causes numerous diseases and issues like diabetes, fatty liver, and a poor gut. • Setu’s Liver Lift and YourGut are great supplements to help strengthen your liver and gut. Liver Lift contains naturally sourced silymarin, glutathione, N-acetylcysteine, alpha lipoic acid, beetroot, turmeric, biotin and selenium, which help clean your liver. YourGut helps better your digestive system and increases immunity with 9 strains and 15 Billion CFUs (Colony Forming Units) of naturally fermented probiotics rich in lactobacilli and bifidobacteria. Taking up stress in today’s time is natural. In fact, no one “takes up” stress, you just are. Busy schedules, meeting deadlines, catching trains and cabs, it’s all very stressful. While stress in the fast lane is inevitable, there are ways to reduce it. • Do something you love mid-week. Don’t wait for the weekend do wind down, do what you love in the middle of the week! It could be as simple as reading, dancing, or even catching up with a friend or petting an animal. Doing something that you love helps control stress and increases happy hormones into your body.